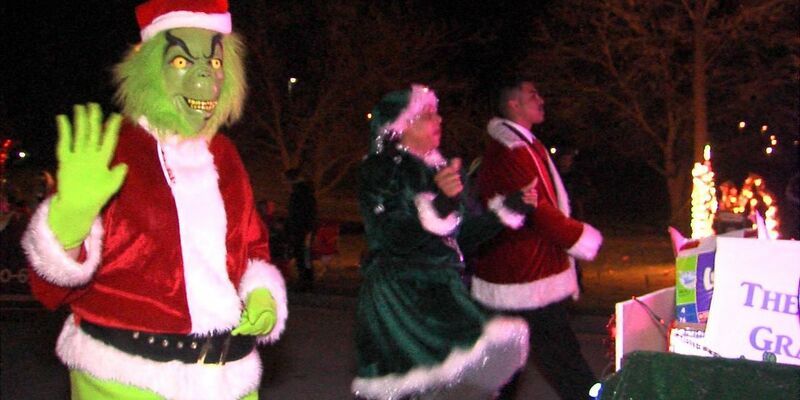 LAWTON, Okla._The Holiday in the Park parade at Elmer Thomas Park started the holiday season Saturday night in Lawton. Families lined the streets starting at C Avenue by the Central Mall and headed all the way down to Elmer Thomas Park. Most of the kids were waiting for Santa and this year, and staying with the "Christmas Around the World" theme the kids got to see all the Santa's of the world at the park. Parade coordinator Melinda Kukurich has been helping plan the event every year. She says she does it for her community, but also for her kids. "Mom you gotta do the parade every year," Kukurich said about her kids. "So it's for the city of Lawton and for my kids. They just really love me doing this." Kukurich says they had more than 60 entries in the parade this year, which is more than in years past. The parade was led by the flashing lights of the Lawton Police Department. Followed by floats the Lawton High School Marching Band playing some popular Christmas tunes. Miss Lawton's Outstanding Teen Melissa Valencia riding in the parade, and says she enjoys this chance to bring in the holidays. "I love getting to experience everything because it's seriously my favorite time of year," Valencia say. "Just all the fun and excitement and I like to be like a little kid again." The parade ended at the park, but the fun did not stop until the lighting of the Christmas tree. The lights at the park will stay on all through the holiday season until January 1 of next year.